Today was the RaDAR Rally On-The-Air Meetup. This two hour event is a chance to make portable contacts but in particular meetup with other RaDAR operators. So where to operate? 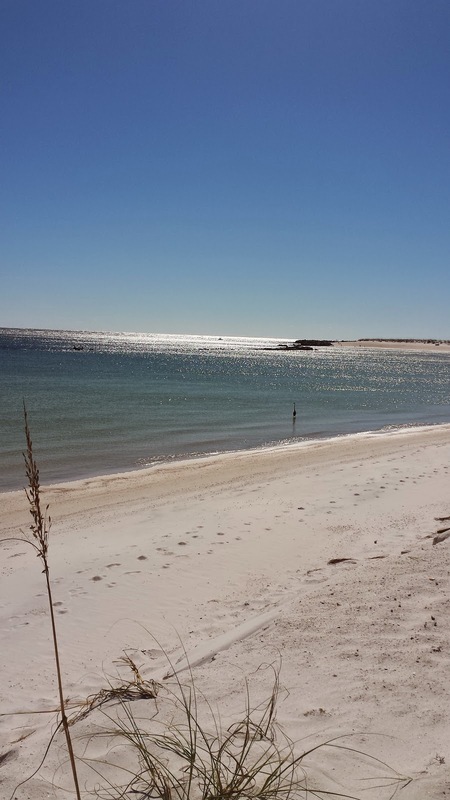 It is hard to resist a trip to Sandy Point in St. Andrews State Park near Panama City Florida. 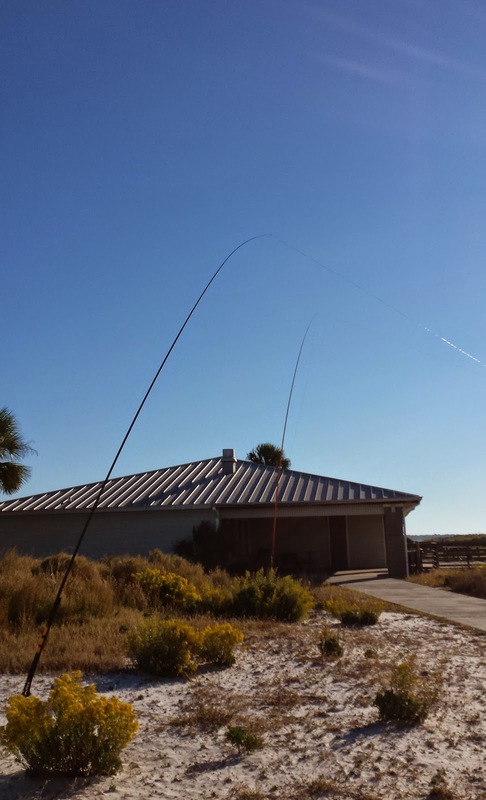 I always want to take advantage of the salt water effect for vertical antennas. The Google Earth view below shows a 43 degree angle toward the UK and a 110 degree angle toward South Africa. So what to pack? Since I have been having fun with the N6BT Bravo 7K and I now had a second, Why not take both. Maybe I can try a parasitic array with the Bravos. It turns out they both slip nicely into the beach cart. I also packed the Alexloop for back up. 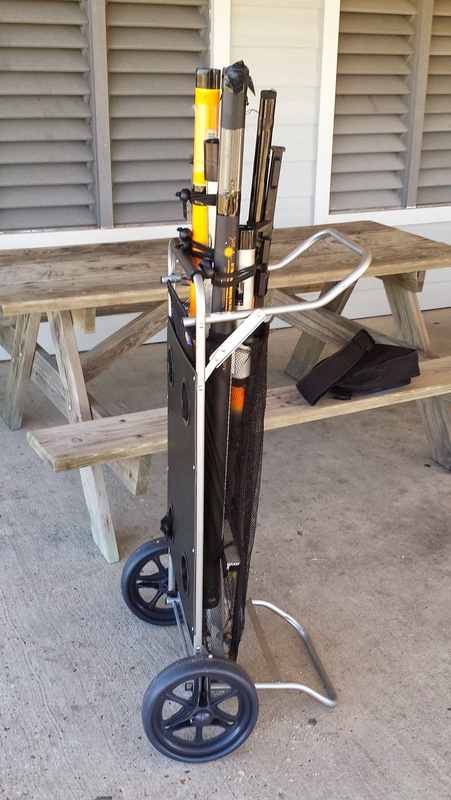 The beach cart had two Bravo 7Ks and the back pack had the KX3. As I headed toward the beach I realized the the steady North wind made it refrigerator weather and I was dressed a bit light. But onward for a one kilometre walk to Sandy Point. Reaching the Point I deployed one Bravo 7K vertical for 20 Meters. 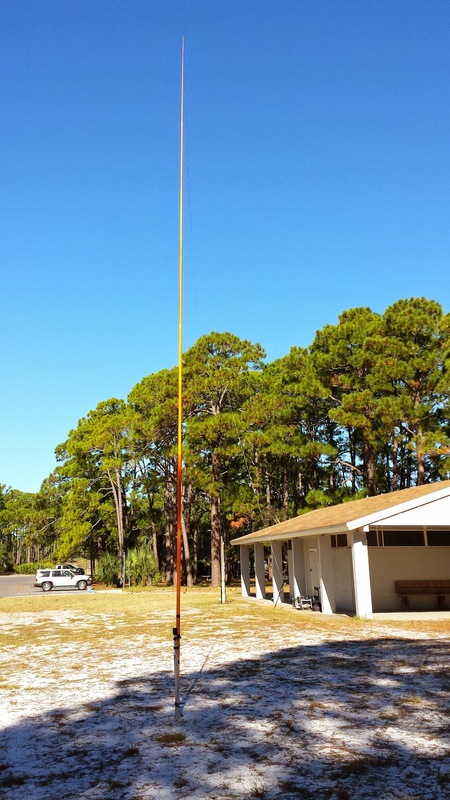 I checked the local repeater and talked to Bob KK4DIV. 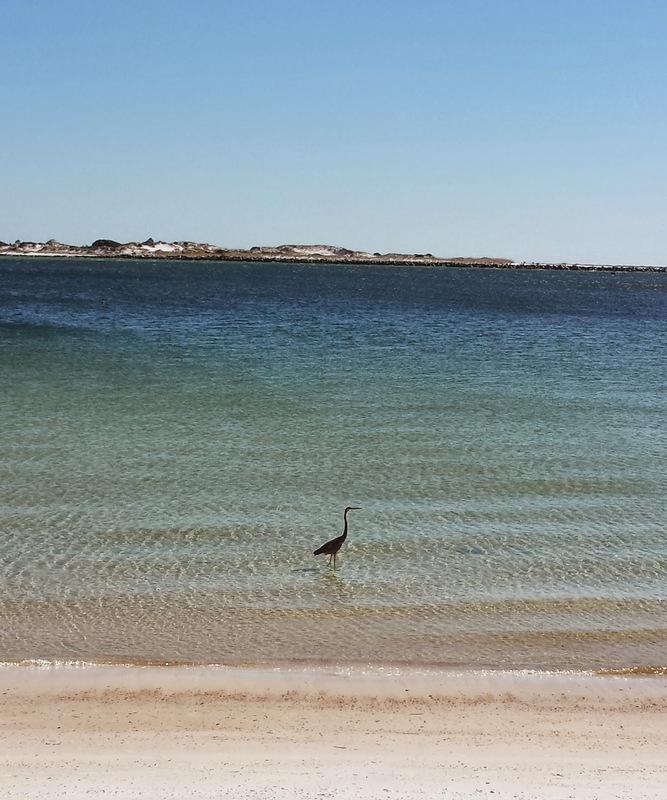 He was deployed for the Meetup from a bayside park in Lynn Haven, Florida. I made a contact with Bob on 14.346 our first meetup frequency. I called CQ RaDAR and a RaDAR op came back. It was John VA3KOT and a after a few repeats we got our grids exchanged. Continuing, I got a call from RaDAR op Mike, AC4MV. I thought he was local as his signal was S9 but Mike was in West Virginia. 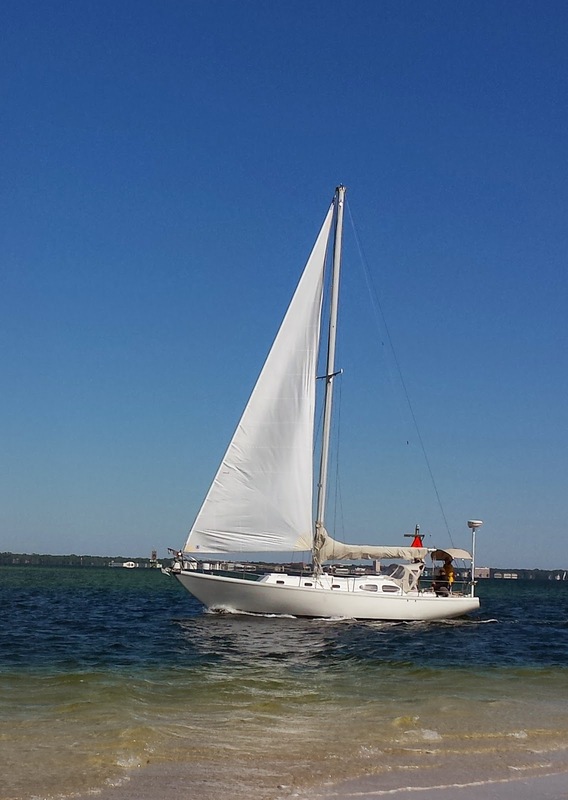 Mike is a member of our local club and spends time in Panama City working on his boat. 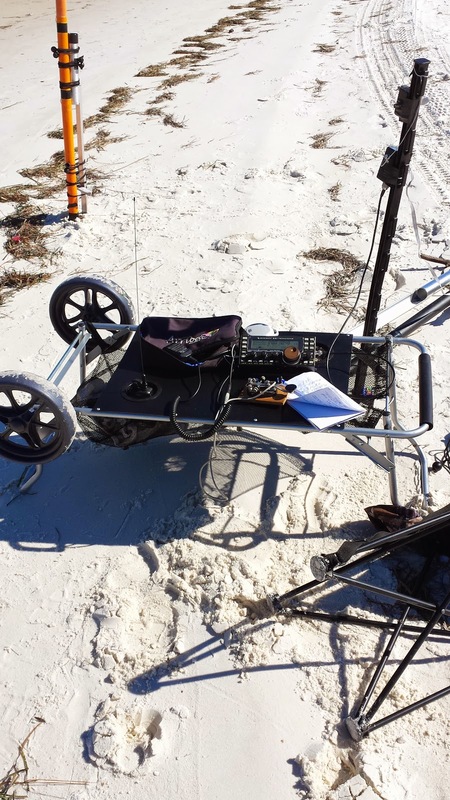 The Bravo 7K setup for 20 meters near the surf. Continuing two local hams gave me a call Bob WB4BLX from his home and Jim K4LIX from his mobile. After 40 minutes, it was time to go to 20 CW I did not hear RaDAR ops but did pick up Marty KB2HHW in Tennessee. the beach cart makes into a table. The first hour concluded and it was time to go to next band. I decided on 10 meters. 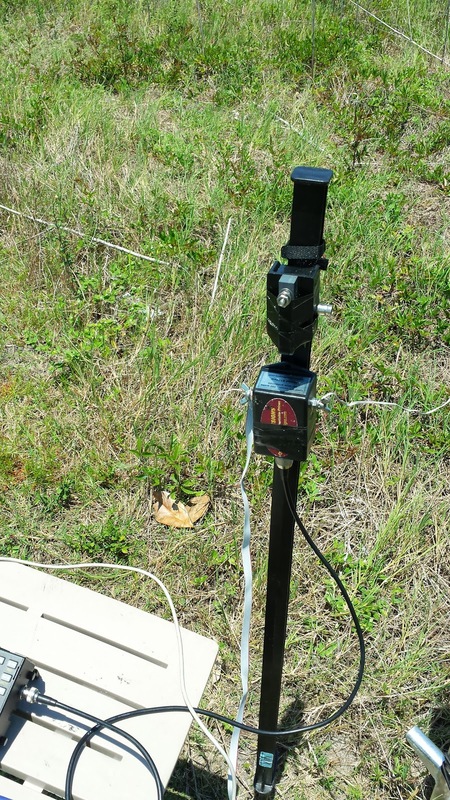 I had thought about using the second Bravo as a parasitic array but with the time short and the weather being uncomfortable I reset the single Bravo to 10 meters. I also passed up on opportunity to move since I already had five contacts. 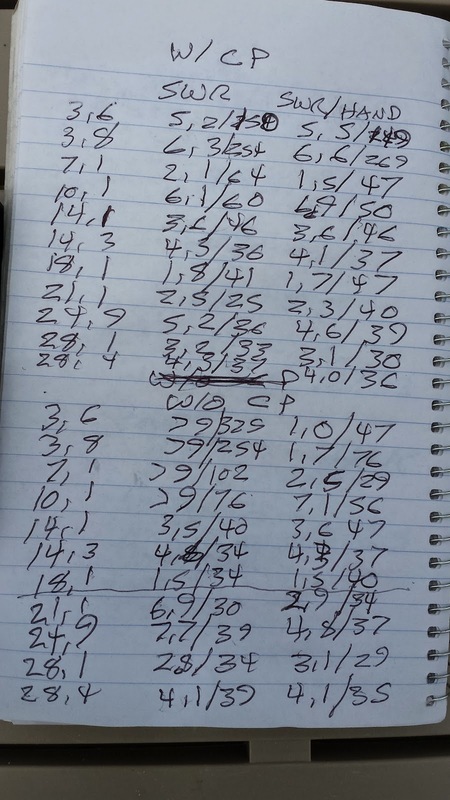 You get double the QSO point from the second location in the RaDAR Rally. On 10 meters I got a surprise call from a local Jim ND9M. Jim spends a good part of the year as VP9JM from Diego Garcia where he works. So am chatting away with Jim and I get a call from Eddie ZS6BNE in South Africa. He was weak but readable except for some QSB. He gave me a 519 and I gave him 529. Hey it was a please to work Eddie the originator of RaDAR. Maybe the saltwater was helpful. I was running 10 watts with the KX3. 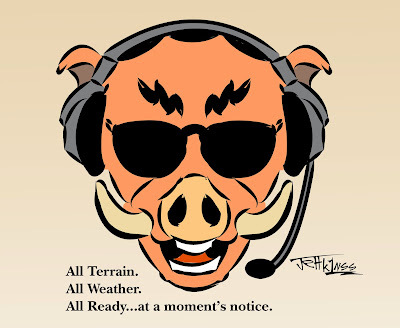 I did make use of our RaDAR spotter page. I got an error on the few tries. It did not like an extra space on my callsign. Pelicans on the return trip. They get some handouts from the fishermen. I appreciate the efforts of the other RaDAR ops I did not QSO with including Lucy M6ECG, Tom G0SWB, Don KK4QAM, and Pat NQ0N among others. 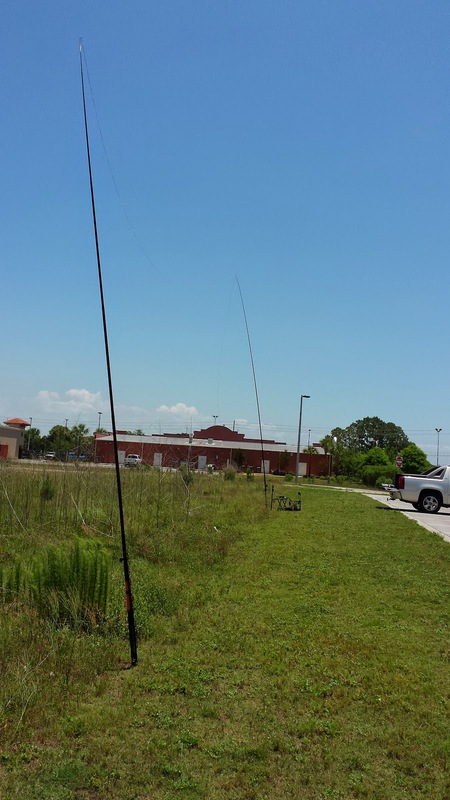 Using Two N6BT Bravo 7Ks Verticals as a Parasitic Array. I have been enjoying my N6BT Bravo 7K antenna. Tom N6BT says these antennas make good parasitic arrays. 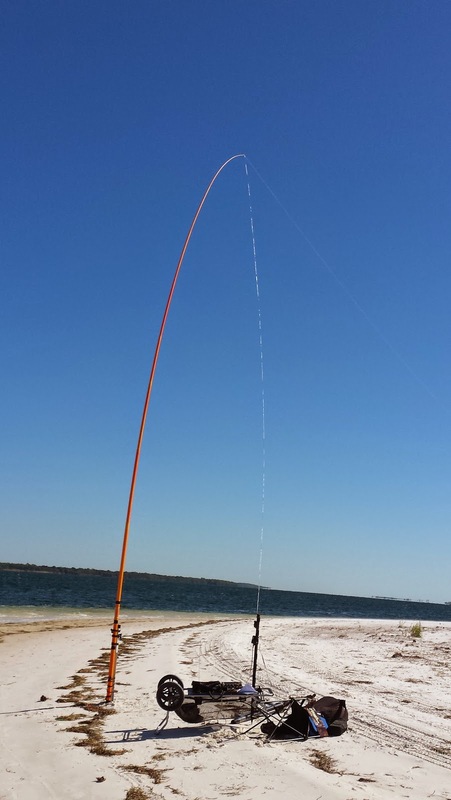 He has used them from the beach on DX-peditions. So I recently purchased a second Bravo 7K. Tom provided a procedure for setting up an array. I am using the non-driven Bravo 7K as a reflector. On Friday, I extended my lunch with an hour of leave. The first step is to hook up the reflector to the coax and tune it for a frequency below the operating frequency. 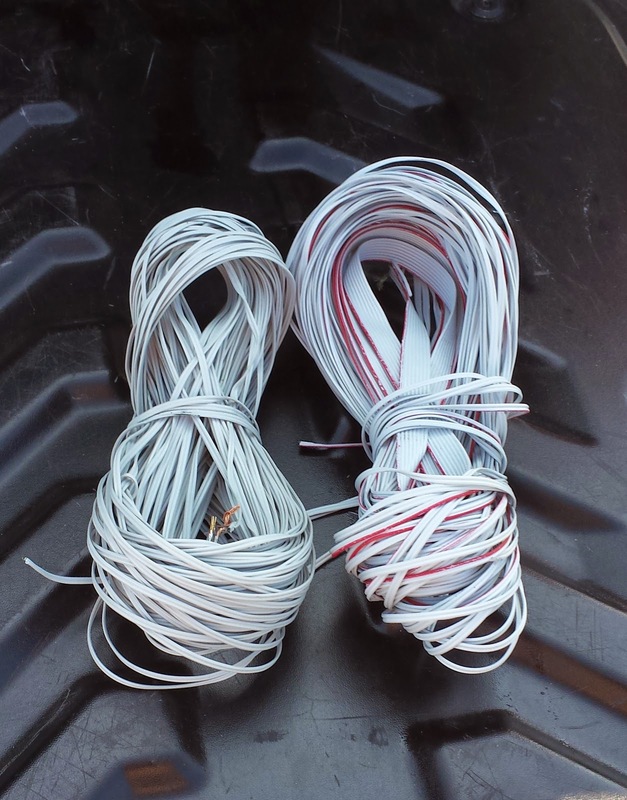 Tom recommends 27.800 for 10 meters CW. The other Bravo is down at this time. When the reflector is tuned remove the coax and put in a short at the feedpoint on the coil box. Now it is time to put up the second Bravo which will be the driven element. The spacing between the verticals is six feet for 10 meters. Since the reflector is so close to the driven element it does effect the tuning. I used an analyser. I did have to shorten the driven element from the usual length and set the SWR dip for 28.100. I had only a short time for contacts. I found the rejection from the back to be striking. A station pounding in from New England went way down when I walked the reflector around in his direction. I did a CQ to see what the Reverse Beacon Network would give me. For HK6F in Columbia I got RBN of S/N 17 db on the front and 6 db on the back While it was pointed South I worked XE2JS in Northern Mexico with a 57 copy on me running 10 watts SSB. I also got a 57 from CD3HSC in Chile. OK this was not a scientific evaluation but it is promising. I look forward to setting a parasitic array on the beach to take advantage of some gain plus the saltwater effect. It will be my reverse DX-pedition. You can find some analysis of vertical arrays on N6BT.com . The RaDAR Rally is a new achievement program for amateurs practising Rapid Deployment Amateur Radio. 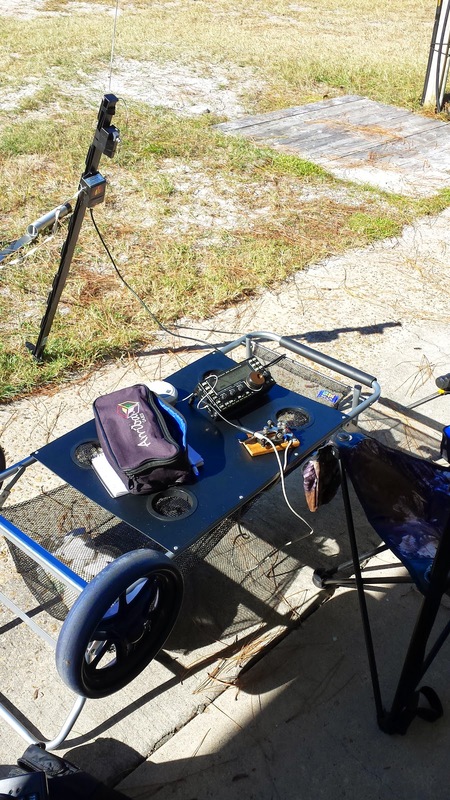 It is available any-time anywhere and includes portable as well as fixed stations.﻿ The RaDAR concept was originated by Eddie ZS6BNE and continues to be refined. 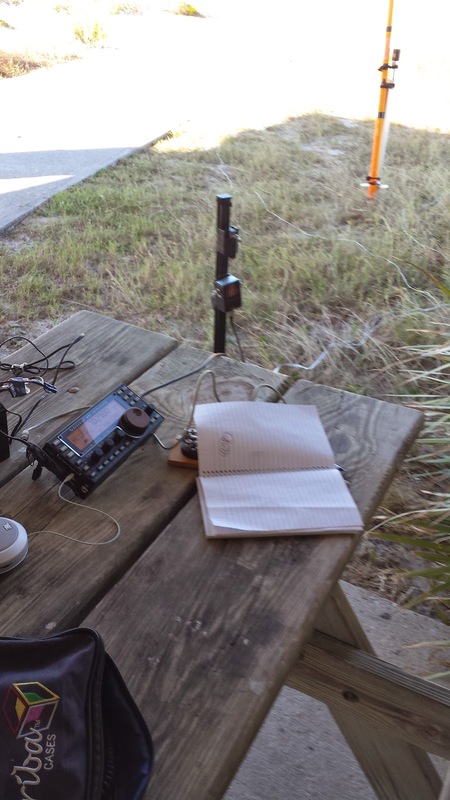 If you are interested in portable amateur radio visit the Google+ RaDAR Community. The combination of an end fed wire and a 9 to 1 unun is very popular. For me I discovered that any wire I tried with the 9 to 1 unun would match with the KX3 internal tuner on any band with or with out a counterpoise. I tried end fed wires with various counterpoises with the KX3 internal tuner and it would match some bands and not with others. I guess it comforting to know in a rapid deployment that you can get a match and start radiating a signal without fiddling with the wires. 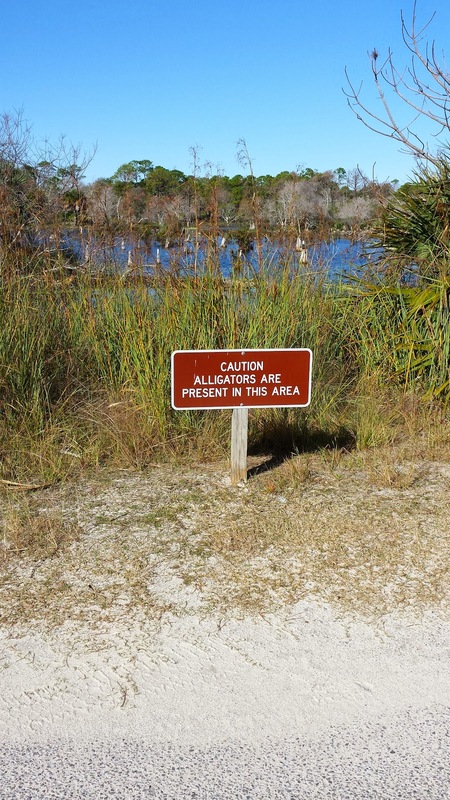 Now from a scientific view this may be less comforting. I can't make any claims to efficiency or radiation patterns. The 9 to 1 unun is at the bottom. The box at the top is a LNR end fed matchbox. The unun I use is from Balun Designs. There is a chart on their site that shows SWRs and various lengths. I don't seem to get SWRs shown but by pressing tune on the KX3 I will get a match. I actually have used the 9 to 1 without a counterpoise and have gotten great reports. However, I do find that it the SWR is more stable and lower if I use a counterpoise. You can get a feel for this by touching the ground terminal on the unun and seeing how the SWR changes on an analyser. I don't think what the wire length or counterpoise is is that critical. I adopted 100 foot as that is how my roll of ribbon cable came. 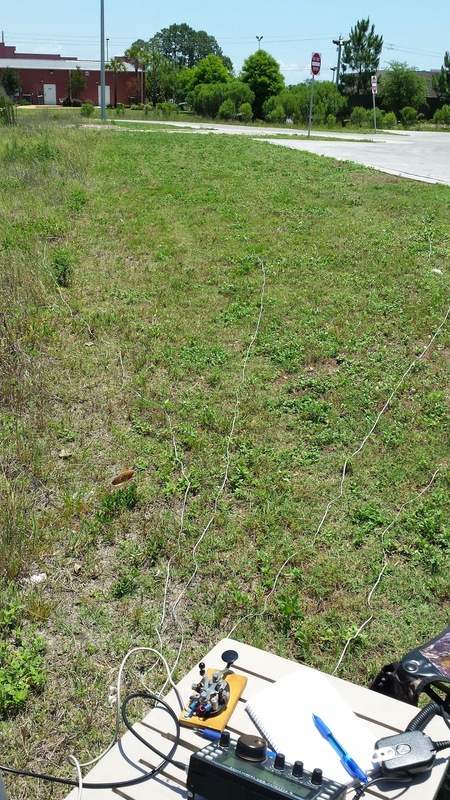 I did go back to the manual and it seems that four 30 foot wires for a counterpoise fits their recommendation. wind it up in the same way. Ribbon cable for radiator on left and counterpoise on the right. Here is the data from a little study I did. SWRs on the right are with my hand touching the ground to see the change in SWR. I take it that if my hand touching makes little difference I have an better ground. The value to the left of the slash is SWR and to the right was the R value on of my Ten Tech FG-01 SWR analyser. As far as the supports I have been using a Jackite 31 foot pole near the rig and a 20 foot pole at the far end. There are details about those poles at this link. I get great results on 40 meters with the 100 foot length of radiator. That is usually why I go with this configuration is to cover my 40 meter contacts. It does work OK on other bands as well.